And we’re back with another installment of the Food Matters Project! This past week, on February 1st, this little project celebrate it’s 1 year anniversary! I’m really glad that I have been involved in these weekly posts- it’s given me an opportunity to think a little outside of the box, and encourage me to try different recipes. Most of all, it’s been a wonderful opportunity to connect with other bloggers who enjoy a great cookbook! Thanks to all those that participate, and all the readers at home! 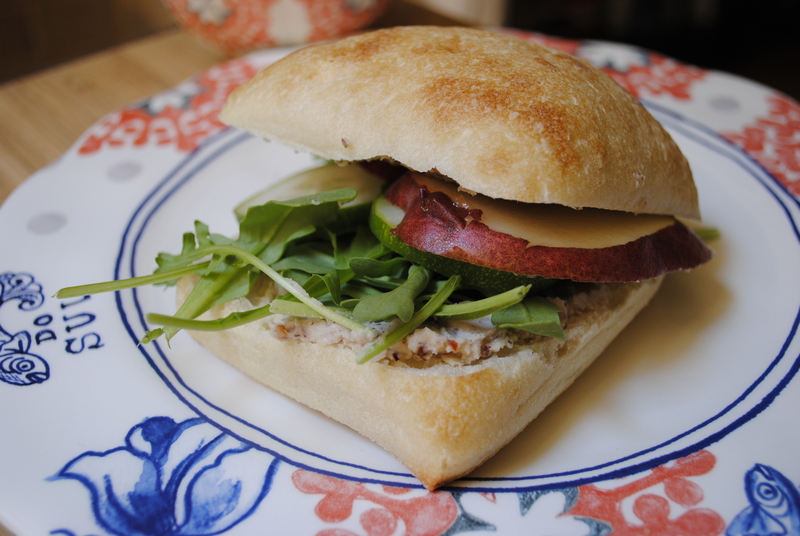 This weeks recipe was chosen by Camilla, of Culinary Adventures with Camilla. 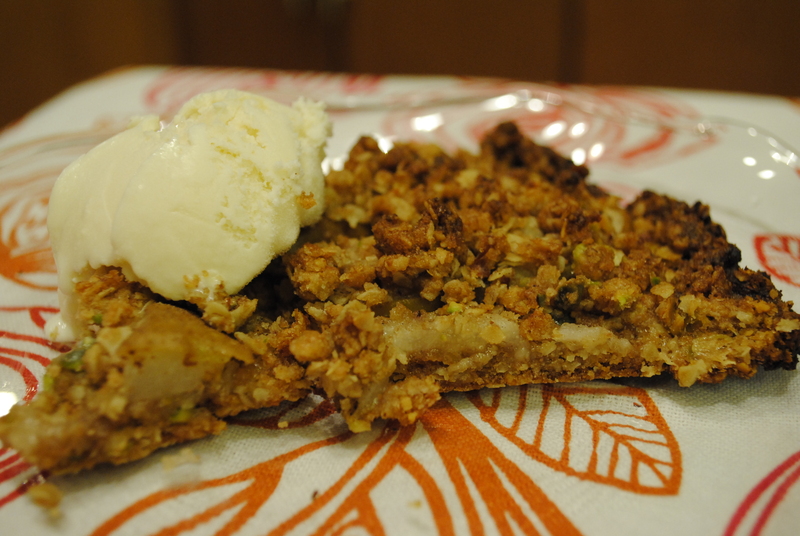 She chose Mark Bittman’s recipe for Cardamom-Scented Pear Crisp, from the Food Matters Cookbook. 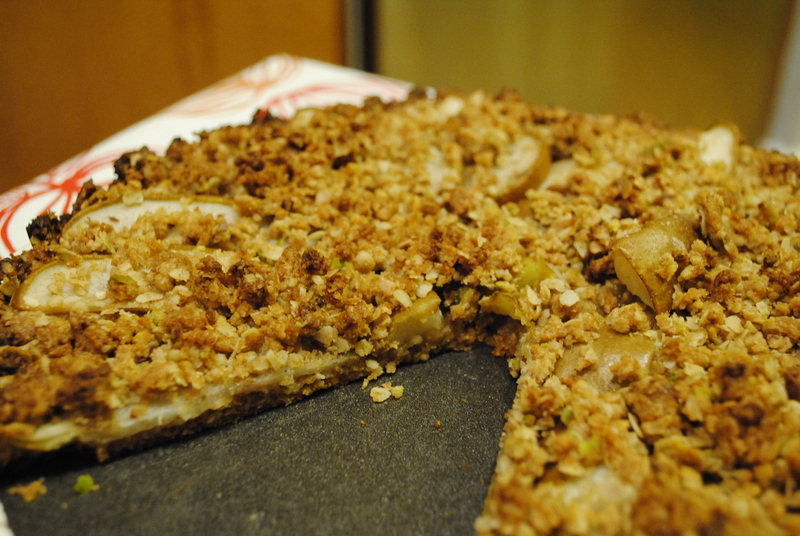 Check out Camillas post on her Cranberry & Pear Cardamom-Scented Crisp. Also, take a peak what other bloggers did with this recipe. Camilla has also hosted these Food Matters Project dishes: Wheat Berries with Braised Beef & Parsnips, Fish Nuggets Braised in Rhubarb Sauce. While we were still on our honeymoon during one of those recipes, here’s the fish version of our dish: Cod in Spicy Rhubarb Sauce. Whenever I go to the grocery store and see that a bag of pistachio’s is “buy 1, get 1 free”- I always grab a bag (or two). They are a versatile nut that can be used in many baked goods, or they’re a perfect mid-day snack. How do you use or eat your pistachio’s? This was a great dessert with a scoop of vanilla ice cream. This dish was delicious since it was not overly sweet, a perfect pairing with tea in the morning. Sam and I finished it off as breakfast leftovers with some honey-flavored Greek yogurt. In a large bowl with a mixer, cream together butter, oil and sugar. Then stir in the pistachios, lemon juice, oats, flour and salt. Mix until the ingredients are combined. Preheat the oven to 400ºF. Spray a tart pan with cooking spray, or grease it with butter. Press the dough into a tart pan, using only 3/4 of the dough. Next lay out the pear pieces on top of the dough, then sprinkle with cardamom. Lastly, sprinkle the last of the dough over the pears. Bake the crisp for 30 minutes, or until the crust starts to brown. Serve once it cools with a scoop of ice cream.